While any amputation is a life-changing event, it is important to remember that amputations are viewed as a reconstruction surgery with the goal of returning the patient to a normal life. Advances in medical technology and prosthetics have helped many patients return to a relatively pain-free and active lifestyle after amputation surgery. We welcome you to visit our care manuals on transfemoral amputations and transtibial amputations. These manuals are full of helpful information to provide you with answers to many of the questions that arise before and after an amputation. At Orthomedics we know that each prosthetic patient is different, a one size fits all approach won't work. Our staff is able to offer personalized care for each patient who comes through our doors. In addition to our outstanding staff, our facility includes a very modern prosthetic fabrication lab and allows us to offer world class prosthetic devices to all that we serve. There will be many questions along the way as you prepare for your life as an amputee and the best course to take is to communicate with those on your rehabilitation team. Your physician, physical therapist, occupational therapist and prosthetist are those who are here to help you become a successful wearer of a prosthetic device but it is ultimately up to you to take charge of your care and your life as an amputee. Socket Design: Depending on your level of amputation, there are several types of transfemoral (BK) sockets designs that one could be fit with. Your prosthetist will determine which socket design is best suited for you based on the shape and the condition of the residual limb. Other factors include length, circumference and skin integrity. Suspension system: Refers to how the socket attaches to the user’s residual limb. There are many types of suspension systems avilable. Such as vacuum, shuttle lock, and suction. Each suspension system has strengths and weaknesses. Your prosthetist will help you determine the best suspension system for your needs. 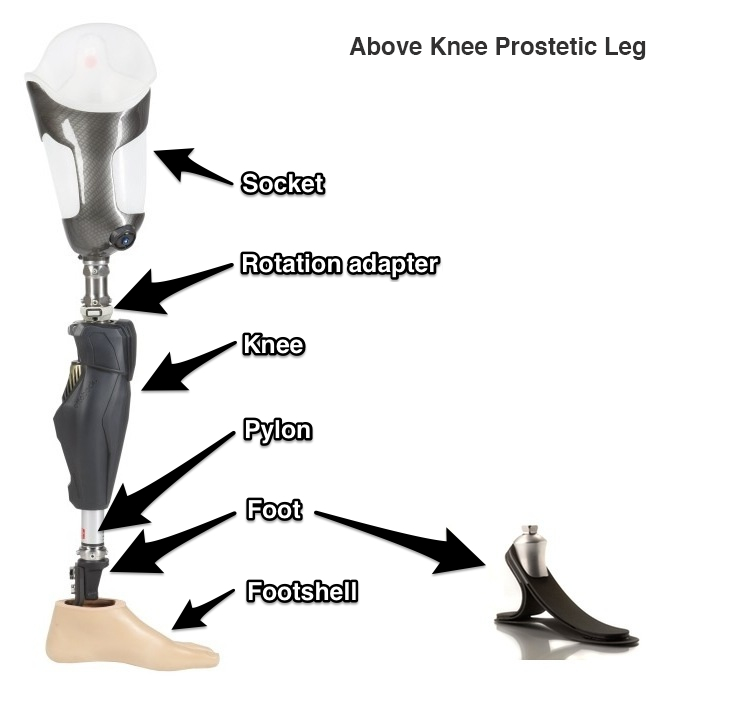 Prosthetic Feet: Prosthetic feet are categorized by levels of activity; this means how well you ambulate (walk). Examples are: if you walk with an assistive device (walker or cane), if you walk in varying speeds, or if you lead an active lifestyle and participate in sports or other recreational activities. The type of foot that is prescribed will vary. Other factors that determine the type of foot that is chosen are your body weight, if you walk on uneven surfaces, the type of job you have and the length of your residual limb. 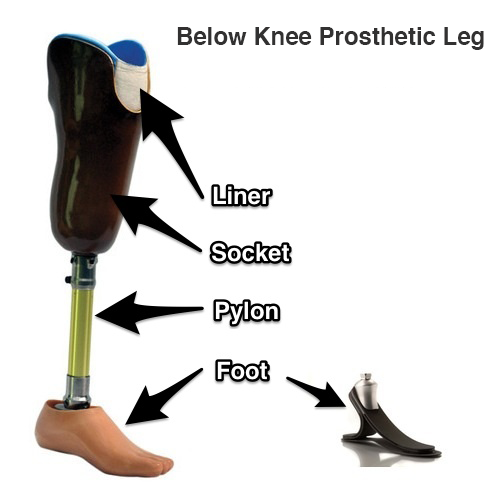 Socket Design: The prosthetic socket for a transfemoral amputee (AK) needs to support your weight, contain your tissue and your limb comfortably, and provide stability so that you can walk as efficiently as possible. Achieving a good fit is imperative to becoming a successful user of a prosthesis. Suspension system: Refers to how the socket attaches to the user’s residual limb. There are many types of suspension systems avilable. Such as vacuum, shuttle lock, and suction. For AK's, there is also a lanyard system that uses a strap to pull the liner into the socket. Each suspension system has strengths and weaknesses. Your prosthetist will help you determine the best suspension system for your needs. Prosthetic Knees: Prosthetic knees today offer many different options for amputees of all levels. Depending on your level of activity and specific circumstances, your prosthetist will choose a knee that will provide you with what is most appropriate. A Manual Locking Knee is the most stable type of knee available. A Single-Axis, Constant Friction Knee is simple, inexpensive and lightweight. A Single-Axis, Constant Friction Knee with Stance Control has a breaking feature that prevents the knee from buckling when weight is put on the leg. A Single-Axis, Fluid Friction Knee varies its resistance as walking speed varies or when running. A Polycentric Knee is a very stable knee that allows for very fluid walking. A Microprocessor Knee is a computerized knee that responds automatically to the walking patterns of the patient and has added stability. Q: How long after my amputation will I be fit with a prosthesis? A: Most people are fit between 6-8 weeks after surgery; this may vary person to person. Your limb needs to be completely healed before the fitting process can begin. Q: Why do I need compression socks and how long will I need to wear them? A: Compression is imperative to shaping your residual limb and keeping the edema (swelling) under control. It is recommended that you wear your compression socks/shrinkers until there is little change in the volume of your limb from day to day. Once you are wearing your prosthesis daily, you may only need to wear compression at night if at all. Q: What is involved in the casting process? A: When you first meet with your prosthetist for the casting, he/she will take a set of measurements and note the important features of your limb. Your prosthetist will apply layers of plaster of paris to obtain an impression of your limb which will then be filled with plaster. This provides a model for which your check socket will be made. Once the proper modifications are made, a technician will construct the check socket. Q: What can I expect at the initial fitting of my check socket? A: The first fitting is done in the office or sometimes at your first physical therapy appointment. It is important that you wear loose, comfortable clothing. Your prosthetist will explain how to don (put on) and doff (take off) your prosthesis, how to care for it, and provide a wearing schedule for you to follow. You will also learn how to modify the fit of your prosthesis with prosthetic socks and what to look for when you check your limb frequently. Proper alignment is attained while you walk inside the parallel bars and before you leave the office, your check socket is reinforced for added strength. The check socket is utilized for 1-2 weeks before your definitive (permanent) prosthesis is made. Q: How often will I be seen for physical therapy? A: Typically you will see your physical therapist 2-3 times per week but it is ultimately up to your therapist and physician to determine how many times per week and for how many weeks. 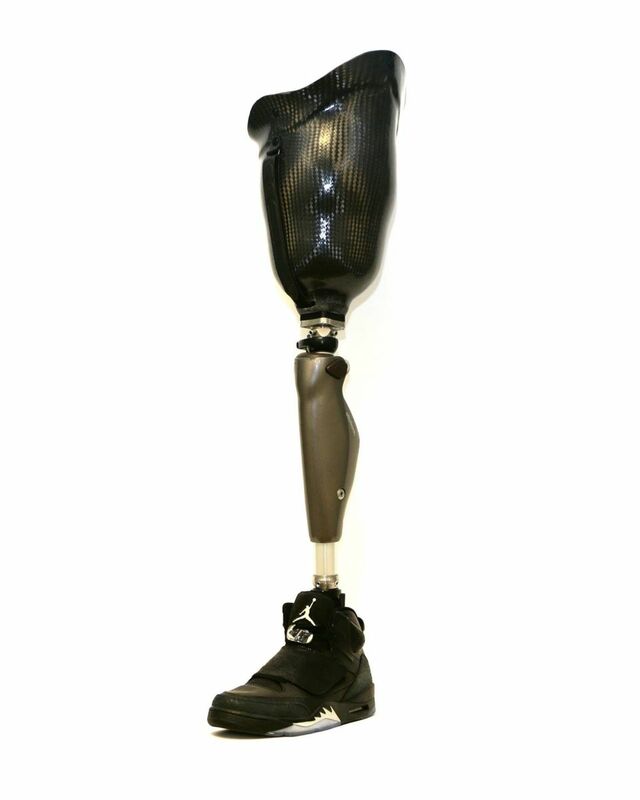 Q: Once I receive my definitive prosthesis, how often will I see my prosthetist? A: You will need to follow up with your prosthetist often after the delivery of your definitive prosthesis. As you continue to wear your prosthesis more often and become active again, your limb will change in shape and size and your prosthetist will need to make changes to your socket to accommodate those changes. If you are having pain or discomfort at any time, you will need to see your prosthetist immediately. 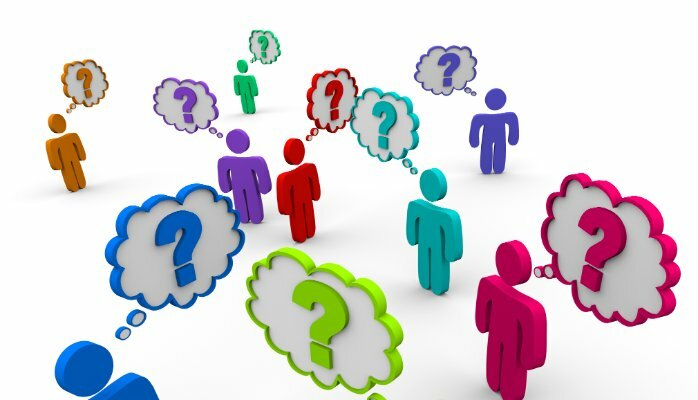 Q: Will I be able to participate in the sports or leisure activities I did prior to my amputation? A: Yes! As long as your physician agrees, you should be able to return to the activities you enjoyed prior to your surgery. Prosthetic components today offer the amputee a variety of op- tions that make participation in recreational activities possible. Be sure to express this to your prosthetist so that the proper components can be selected for your prosthesis.